Should Taxpayers Foot the Bill for Rebuilding the Gulf Coast’s Petrochemical Industry? Much of the Gulf region remains flooded, people are still being rescued, and the full magnitude of the damage is not yet known. But soon the center of attention will be the rebuilding effort and how to pay for it. Texas Gov. Greg Abbott is talking about the need for a federal aid package well in excess of $100 billion. Whatever the amount turns out to be, the critical issue will be how the money is distributed. It’s already clear that the petrochemical facilities clustered in southeastern Texas have been hard hit by the flooding, and there will no doubt be calls to use both federal and state financial resources to help repair these plants. While there should be no hesitation about using public funds to help the people of the Gulf rebuild their lives, we shouldn’t automatically do the same for the petro giants. The first reason is that these companies can well afford to rebuild on their own dime. Exxon Mobil, which owns the giant refinery in Baytown, earned more than $130 billion in profits during the past five years. The Motiva refinery in Port Arthur, another massive facility, is owned by Aramco, which in turn is owned by the fabulously wealthy government of Saudi Arabia. Second, taxpayers made enormous financial contributions to the construction and operation of these facilities. As shown in Subsidy Tracker, the Motiva refinery was awarded a $257 million state and local subsidy package in 2006 to help underwrite its expansion. Earlier this year, Exxon and SABIC, another Saudi company, were granted a $460 million package to jointly build a petrochemical plant near Corpus Christi. Apart from being subsidized, many of the Gulf region’s petrochemical plants have horrible compliance records regarding toxic emissions and worker safety. The most notorious example is the refinery in Texas City between Houston and Galveston that was previously owned by BP and subsequently sold to Marathon Petroleum. In the wake of a 2005 explosion at the facility that killed 15 workers, BP was fined a then record amount of $21 million by OSHA for a pattern of egregious safety violations in Texas City. The company failed to make the necessary corrections and was later hit with an even larger penalty. BP also had to pay nearly $180 million to settle a federal environmental case involving the refinery. As shown in Violation Tracker, in 2013 Shell Oil had to pay more than $117 million to resolve Clean Air Act violations at its Deer Park refinery outside Houston. 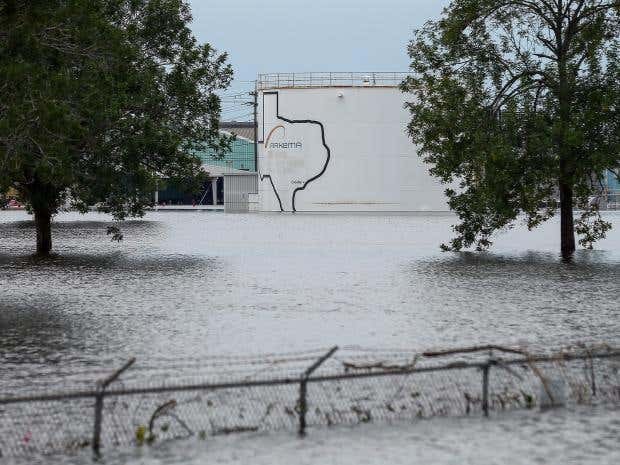 The chemical plant in Crosby, Texas owned by the French company Arkema, where flooding has caused explosions, was fined $107,918 earlier this year by OSHA for serious safety violations (company later negotiated a reduction down to $91,724). Providing more subsidies for these facilities would in effect negate the impact of the penalties the corporations paid for their negligence. Finally, there is the difficult question of whether all these facilities should be rebuilt at all, especially if taxpayer funds are involved. The Gulf refineries play a significant role in an energy system that exacerbates the climate crisis, which likely contributed to the intensity of Harvey. We may not be free of fossil fuels yet, but does it make sense to use public resources to prolong the life of facilities linked to extreme weather events that threaten our future? Posted in Environment, Petroleum Industry, Subsidies, Uncategorized, Violation Tracker, Workplace Safety & Health | Comments Off on Should Taxpayers Foot the Bill for Rebuilding the Gulf Coast’s Petrochemical Industry? Two legal cases involving egregious harm to public health have moved forward in recent days, though in very different ways. In one case an aggressive prosecutor, defying expectations, filed criminal charges against three individuals and vowed that they “are only the beginning. There will be more to come — that I can guarantee you.” In the other case, a large company reached a deal in which it will pay to modify or buy back hundreds of thousands of defective products. The case in which the culprits are deservedly having the book thrown at them is the Flint water crisis, while in the other the boom is not yet being lowered on Volkswagen. The first involves misconduct by public officials, the second is a case of brazen corporate crime. Admittedly, the settlement framework announced in the VW case does not necessarily reflect the full scope of the legal issues facing the automaker in connection with its systematic cheating in auto emission testing. It is not yet known whether the Justice Department’s reported criminal investigation of the matter will result in the filing of charges, nor is it clear whether the civil penalties that may be imposed on VW will come close to the theoretical maximum of $18 billion. Yet the decision to announce the tentative buyback deal by itself creates the impression that it is the centerpiece of the resolution of the VW case. It’s being estimated that the U.S. buyback would cost the company about $7 billion. If that turns out to be the main cost imposed on VW, the automaker would be getting a bargain. Causing financial harm to car owners is far from the only sin for which VW has to be held accountable, and it is probably not the most serious one. Of far more consequence are the environmental and public health impacts of the enormous amount of additional pollution that the VW engines have been spewing into the air. What started out as an effort to circumvent regulations will end up causing an unknown number of cases of asthma, bronchitis, emphysema, and possibly lung cancer. There’s also the issue of deterrence. If VW and its relevant officials do not face serious consequences for their actions, people at other corporations may think they can also flout vital regulations. It’s already clear that VW’s emission fraud was not an anomaly. Mitsubishi just admitted it has been doing the same thing in Japan for at least one of its vehicles. We don’t yet know the full story of what happened at VW much less Mitsubishi, yet it is likely that flagrant emissions deception arose out of a corporate mindset that sees regulations as obstacles to be overcome rather than legitimate rules designed to protect the public. 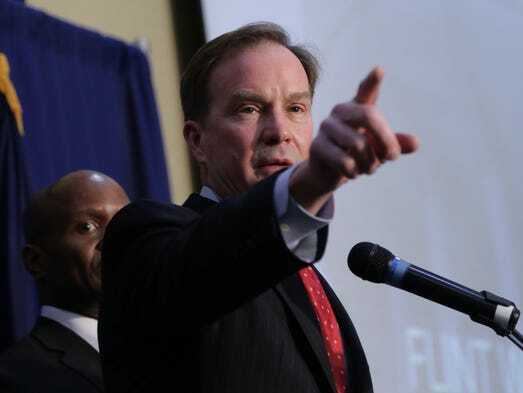 That mindset will not change until corporations and individuals within them pay as heavy a price for their transgressions as that facing the public officials who poisoned the children of Flint. As a result of substantial enhancements Good Jobs First has made to our Subsidy Tracker database, it is possible for the first time to estimate the share of total state and local economic development awards going to big business. The data show a very high degree of concentration: we estimate that at least 75 percent of cumulative disclosed subsidy dollars have gone to just 965 large corporations, even though these companies account for only about 10 percent of the number of announced awards. In Subsidy Tracker 2.0 we can also for the first time identify which companies have received the most cumulative awards, both in dollar terms and number of awards. In dollar terms, the biggest recipient by far is Boeing, with a total of more than $13 billion, reflecting the giant deals it has gotten in Washington and South Carolina as well as more than 130 smaller deals around the country. The others at the top of the cumulative subsidy dollar list are: Alcoa ($5.6 billion), Intel ($3.9 billion), General Motors ($3.5 billion) and Ford Motor ($2.5 billion). A total of 17 companies have received cumulative subsidy awards worth more than $1 billion; 182 have received awards of $100 million or more. A list of the top 100 parent companies can be found here. These awards have gone not only to the corporate parents but also to their divisions and subsidiaries. For example, subsidy awards worth more than $1 billion have been given to Warren Buffett’s Berkshire Hathaway by way of its holdings such as Geico, NetJets, Nebraska Furniture Mart, General Re Corporation, Lubrizol Advanced Materials, and Webb Wheel Products. The company with the largest number of awards is Dow Chemical, with 416. Following it are Berkshire Hathaway (310), General Motors (307), Wal-Mart Stores (261), General Electric (255), Walgreen (225) and FedEx (222). Forty-eight companies have received more than 100 individual awards. The award numbers include some for which no dollar amount has been disclosed (reflecting the inconsistent quality of state and local disclosure). These totals and many more have just been made possible by a painstaking, several-month effort to link the data on individual subsidy awards we collect from state and local agencies to their respective corporate parents (the agencies almost never provide this information). Using a variety of sources (such as the Croctail compilation of the subsidiary lists which publicly traded companies are required to include in their 10-K filings with the Securities and Exchange Commission), we have matched more than 25,000 of the individual entries in Subsidy Tracker to 965 parents. These awards together account for $110 billion, or about 75 percent of the total value of the Tracker universe. To cover the greatest number of deals as quickly as possible, our matching process focused first on subsidies awarded to units and subsidiaries of large corporations. The 965 parents we currently cover come from examining all the companies on the following lists: the Fortune 500, the Fortune Global 500, the Forbes list of the (224) largest private companies in the United States, and the Private Equity International list of the 50 largest private equity firms. We have also matched a portion (the top 150) of the Fortune Second 500 list. In addition, we identified parents for many of the largest remaining subsidy awards, including all the entries in our May 2013 Megadeals report, which catalogued all 240 subsidy deals worth $75 million or more in U.S. history. We will add more parent coverage in the future, but for now the roughly 1,300 companies we have checked represent a good proxy for big business. Nearly three-quarters of these companies were found to have received at least one subsidy award; the rate would be even higher if we were to exclude the numerous companies on the Fortune Global 500 that do not operate in the United States. Among the 965 parents we identified as subsidy recipients, the average number of awards is 26 and the average total dollar amount (from awards for which this information is disclosed) is $102 million. The aggregate value of their awards—$110 billion—is 74.8 percent of the total value of the Subsidy Tracker universe. The parent companies on the Fortune 500 alone account for more than 16,000 subsidy awards worth $63 billion, or about 43 percent of total Tracker dollars. The list of most-subsidized parent companies overlaps considerably with the companies in our Megadeals report, which focused on the largest individual deals as opposed to the largest amounts by company we are examining here. Among those on the new list of 100 Top Parents, 89 are linked to at least one Megadeal. That is, only 11 had no individual deal worth $75 million or more. Given the decline of manufacturing in the United States, it is interesting that the list of top parent companies is dominated by industrial firms. Of the ten biggest recipients, only one – Cerner – is primarily a service provider. As for specific industries, auto is well represented, with GM, Ford, Fiat (which now owns Chrysler) and Nissan in the top ten. Toyota is no. 16 and Volkswagen is no. 22. Other heavy industries represented include aerospace (Boeing, no.1), semiconductors (Intel, no.3), petroleum (Royal Dutch Shell, no.7), chemicals (Dow, no.12) and steel (ArcelorMittal, no.13). Also significant is the presence of foreign-based corporations. There are three in the top ten (Fiat, Royal Dutch Shell and Nissan) and another five in the next 15. Since we include private equity firms as big-business parents, the list includes several of those firms. The most-subsidized is Silver Lake Partners, which now controls the computer company Dell and thus has Dell’s Megadeals in North Carolina and Tennessee attributed to it. Although our parent company matching is a work in progress, one conclusion is already clear: large corporations account for an overwhelming share of the tax breaks and cash grants state and local governments have given out in the name of job creation. Our Megadeals study also found that since 2008, the number and cost of megadeals has spiked, even as the total number of new development deals has remained depressed. That is, both our new findings our Megadeals study clearly suggest a “corporate rich getting richer” trend. Note: The text above is a slightly edited version of a report entitled Subsidizing the Corporate One Percent which I wrote and was just published by Good Jobs First.